Leonidas Polk was a graduate of West Point who resigned his commission to enter the Episcopal priesthood as a young man. At first combining parish ministry with cotton farming in Tennessee, Polk subsequently was elected the first bishop of the Louisiana Diocese, whereupon he bought a sugarcane plantation and worked it with several hundred slaves owned by his wife. Then, in the 1850s he was instrumental in the founding of the University of the South in Sewanee, Tennessee. When secession led to war he pulled his diocese out of the national church and with other Southern bishops established what they styled the Protestant Episcopal Church in the Confederate States of America. Polk then offered his military services to his friend and former West Point classmate Jefferson Davis and became a major general in the Confederate Army. How would you describe your book in two or three sentences? 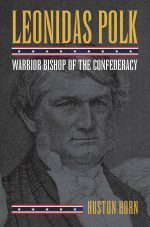 The book covers the principal phases of Leonidas Polk’s life: West Point cadet, Episcopal priest/bishop, sugar planter, University of the South founder, and Confederate general. In many respects an estimable human being, Polk was infected by the virulent racism of his times. And as divisive as the Civil War was to most Americans, Polk took it one step further by dividing the Episcopal Church as well. 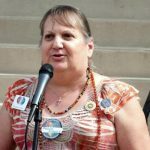 What was your inspiration to research and write about the “Warrior Bishop of the Confederacy?” Growing up in a Southern “Lost Cause” household, and becoming an Episcopal minister myself, I was struck by the commonalities between Leonidas Polk and me – and I reflected upon the differences. 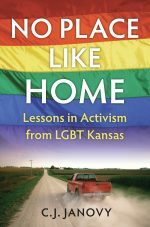 What was the most challenging aspect of researching and writing the book? The deciphering and copying over several years of Polk’s voluminous original and microfilmed correspondence. He once himself compared his daunting penmanship to hieroglyphics – but it was worse than that. William C. Davis says that there are those who have maintained that General Leonidas Polk did more to bring about Confederate defeat than any other single man. Do you agree with that assessment? I am not a military historian, but I suspect such a blanket disparagement is overly harsh. What may be said in his favor was his bravery in combat (foolhardy, sometimes) and his abiding popularity with his rank and file soldiers. Despite a lack of prior combat experience, General Polk was quickly promoted through the Confederate ranks by President Jefferson Davis. How has history viewed his military service and Davis’s decision to advance him? History knows that Davis and Polk were friends since their West Point days together: “a set,” they called it. That friendship covered many a flaw. What is one thing you would like readers to take from your work? The disjuncture of Polk’s life as a Christian clergyman and the owner of slaves – albeit the most beneficent of masters, as he liked to think of himself. If you could have any one person read your book, who would that be? Polly Lee Carroll, my wife and companion for 55 years who read numerous drafts and fixed plenty of footnotes, but died of lymphoma in 2013 before the final version was finished. Huston Horn followed his career in journalism at the Nashville Tennessean, Sports Illustrated, and Time-Life Books with an ordained ministry in the Episcopal Church. He lives in Pasadena, California. I was not young and I was not naïve when, on a cold day late in 2005, I decided that it would be a good idea to spend the upcoming year interviewing every one of the city’s 50 aldermen. I decided to do this because I had recently had a conversation with an otherwise smart reporter who admitted that he did not know the name of the alderman in the ward in which he lived. I then conducted a random survey around the Tribune offices and at various taverns. Confirming my growing and uneasy suspicion, not one Chicagoan I asked could name more than a handful of aldermen and, indeed, a great number of these people did not know the name of their own alderman. In between were 48 encounters that took us (my companion in this endeavor was former Tribune photographer Charles Osgood) to every corner of the city and provided us uncommon insights into how the city works — and doesn’t. The men and women we met were of varying degrees of intelligence, power and effectiveness. They were the City Council, the legislative body of Chicago, meeting at least once every month to debate and vote on all manner of things important to the way the city operates. But they also oversee, on a more intimate level, the needs, concerns and complaints of the 55,000 people, on average, who live in their wards. 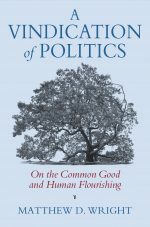 I also bring this up because there are two new books that remind me and will remind you that politics once attracted people worthy of admiration. “Clear It With Sid!” (University of Illinois Press) is by Michael Dorf and George Van Dusen. It is about Sidney R. Yates, who was an Illinois congressman from 1949-1963 and 1965-1999. It tells the whole story—from his West Side childhood as the youngest of six children son of a Lithuanian blacksmith and his wife; his losing race for alderman of the city’s 46th Ward; his eventual rise to political power and influence — with particular emphasis on his savvy and strenuous battle to save the National Endowments for the Arts. The authors have a deep knowledge of and affection for their subject and capture the many facets of this charismatic figure. He was durable and witty too. In his later years he said, “First the knees go. Then the nouns go. Then you go.” At 89, he became the oldest person to ever serve in the House. Yates died the next year, in 2000. Durbin is the author of the preface to another fine new book, Conversations with Abner Mikva: Final Recollections on Chicago Politics, Democracy’s Future, and a Life of Public Service by Sanford D. Horwitt, a speechwriter for and friend of Mikva’s for decades. 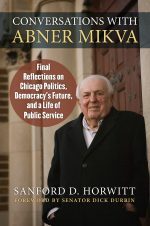 The book is crafted from the monthly conversations Horwitt had with Mikva at various places during the last three years of Mikva’s life, which ended in 2016, after a career as Illinois state legislator, congressman, federal judge, White House counsel, professor and mentor to a generation or two of young people, including a fellow named Obama. 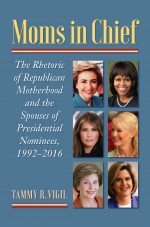 The first line of this book is, “Abner Mikva saw death coming but not Donald Trump,” and the following 180-some pages are peppered with frank observations and opinions about a gallery of politicians and topical matters, some of them controversial. 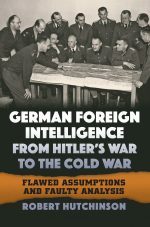 Horwitt is a stylish writer and though this is not a conventional biography it will surely provide a rich and solid foundation for any yet to be written. Together, these two books, these two politician’s lives, will make you wonder why, in the main, politics attracts too few people of character, intelligence and substance. It will also remind you, as you go to the polls, of Chicago’s shady political image. It was 1948 and Mikva, attending law school at the University of Chicago, walked into the 8th Ward Democratic headquarters to volunteer for an upcoming election. “Nobody sent me,” said Mikva. Now, if you haven’t already done so, go vote. When thousands of young men in the North and South marched off to fight in the Civil War, another army of men accompanied them to care for these soldiers spiritual needs. In God’s Presence explores how these two cohorts of men, Northern and Southern and mostly Christian, navigated the challenges of the Civil War on battlefields and in military camps, hospitals, and prisons. 1. What’s your elevator pitch for In God’s Presence? How would you describe the book in two or three sentences? 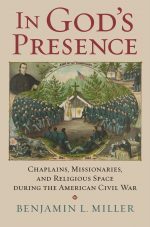 This book highlights the extraordinary work of chaplains and missionaries, who promoted ecumenism within religious spaces during the American Civil War. Coming from a sectarian antebellum religious world, these individuals created a sense of spiritual community within different wartime spaces (camps, battlefields, hospitals, and prisons). In the wake of this work, they gained converts, expanded African American access to Christianity, and promoted civil religion. 2. What was your inspiration to research and write about the role religious figures played in the American Civil War? I have always been intrigued by religious figures and religious studies more generally. Throughout college and graduate school, I have taken numerous courses covering several major religious traditions. Within each tradition, I was drawn to the leaders, trying to make sense of how they kept the faith of their flocks alive during tough times. Plus, I have been fascinated by the American Civil War ever since middle school. The study of clergy during the Civil War seemed like a perfect fit for my educational background and scholarly interests. The most challenging aspect of this book was conceiving of and applying my concept of religious space to the American Civil War. This frame has gone through many iterations and been expounded upon through a number of conference papers. Each time I received comments, I used them to enhance the analytical frame. I am happy with the final result. 4. Your book examines, among other things, the evolution of religious ceremony through the duration of the war. Was there a significant change in the desire for religious ceremonies and figures from the start of the war to the end? I would say that desire for religious ceremony and access to spiritual leaders does not change over the course of the war. Soldiers were interested throughout the conflict. However, there are points when soldiers demonstrated heightened interest in spiritual matters. For example, these situations occur when soldiers are actively campaigning and being exposed to high casualty rates or in winter camps or hospitals, with ample spare time to devote to religion. 5. Can you discuss the lasting effects chaplains & missionaries returning from the war had on their congregations? I argue that chaplains and missionaries promoted civil religion, brought many men back to the church, and helped enable independent African American churches to form. However, these post-bellum topics deserve a much more in-depth scholarly treatment. My book is a stepping stone for more analysis and discussion. I hope readers see that sectarian divides can be bridged. Civil War era chaplains and missionaries ministered to any men who desired spiritual aid. They were true leaders who tried to unify individuals under a shared belief in Christianity even while the nation was torn apart by the War. I can’t think of any one person. However, I would like individuals training to join the U.S. military chaplaincy to read my book. It provides insight into how spiritual leaders dealt with the challenges of ministering to troops during warfare. In the end, my book depicts successful chaplains and missionaries as leaders who promoted a strong sense of mission and dedication to their flocks. I believe the best military chaplains today would have these same characteristics. Benjamin L. Miller is an adjunct instructor of history at Howard Community College in Columbia, Maryland. His work has appeared in the New York Times’ Disunion: The Civil War blog, The World of the Civil War: A Daily Life Encyclopedia, and American Civil War, a part of the Gale Library of Daily Life series. On a cold day in early January 1864, Robert E. Lee wrote to Confederate president Jefferson Davis “The time is at hand when, if an attempt can be made to capture the enemy’s forces at New Berne, it should be done.” Over the next few months, Lee’s dispatch would precipitate a momentous series of events as the Confederates, threatened by a supply crisis and an emerging peace movement, sought to seize Federal bases in eastern North Carolina. This book tells the story of these operations—the late war Confederate resurgence in the Old North State. 1.What’s your elevator pitch for The Fight for the Old North State? How would you describe the book in two or three sentences? 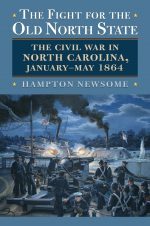 This book is about the Confederate effort to retake key coastal positions in North Carolina during the first half of 1864. In launching these operations, rebel leaders sought to secure vital supplies for Robert E. Lee’s army and dampen a growing peace movement then threatening to pull the state out of the war. The ensuing engagements involved complex joint army and navy operations, daring raids, and deadly ironclads. 2.What led you to research and write about the late-war Confederate resurgence in the Old North State? I was drawn to this project by the interesting mix of military and political issues behind the battles in eastern North Carolina. These clashes, which included Confederate attacks on New Bern and Plymouth, formed a compelling story that not only involved much marching and fighting but also other issues such as Unionist resistance to the Confederacy, emancipation, desertion, and a crucial gubernatorial election. 3. What were some of the challenging aspects of researching the book? The search for material sent me far and wide. I’m grateful for the help from archivists at dozens of institutions around the country. There were many obstacles of course. One interesting challenge was the hunt for elusive information about Confederate supply efforts in eastern North Carolina during 1864. Most of the official Confederate commissary records from that period have not survived. However, I was able to find valuable information elsewhere, in period newspapers for instance. Another hurdle was the effort to find information about Union African-American recruits at Plymouth. In trying to track down several details, I scanned through regimental books and personnel files housed at the National Archives as well as records in the collections at Duke University. In the end, like a lot of research, I found more on these issues than I expected but less than I hoped for! 4. Your book offers a compelling account of Confederate efforts in early 1864 to turn the tide of the Civil War in eastern North Carolina. What would you list as the most important decision made by the rebel leaders in their efforts? Confederate success stemmed in large part from the decision to delay the attack on Plymouth until the completion of the ironclad Albemarle. Once finished in April, that gunboat, which had been initially constructed in a cornfield, steamed down the Roanoke River, defeated Union naval vessels guarding the town, and poured fire into the unprotected flank and rear of the Federal fortifications, turning the tide of the battle. 5. Robert E. Lee’s proposal to take eastern North Carolina triggered one of the last successful Confederate offensives. What was the impact of these operations on the culmination of the Civil War? In targeting Federal bases, rebel leaders sought to boost morale in the state and, in doing so, help Governor Zebulon Vance win reelection that summer and keep the state firmly in the Confederacy. The rebel victories in North Carolina also opened areas previously closed to Confederate commissary agents, allowing them to gather supplies for Lee’s army in the brutal campaigns that summer in Virginia. Though the precise impacts of these events on the overall war are difficult to gauge, the operations clearly aided the Confederate war effort. I hope readers gain an appreciation of just how complicated things were in Civil War North Carolina. In addition to the tactical and operational details highlighted in the book, many issues impacted the Old North State during the conflict including the enlistment of North Carolinians into Union regiments, Confederate desertion, guerrilla warfare, emancipation, and the peace movement. Hampton Newsome is the author of Richmond Must Fall: The Richmond-Petersburg Campaign, October 1864.